It’s understandable that your emotions may take over if you discover your identity is stolen. Feelings of panic, anger and despair are common. Remaining calm can help you remedy the problem in a clear and thorough manner. Take deep breaths before moving on to the next step. Once you’ve collected your emotions, you can get down to business. First contact your bank, credit card company or financial institution to close the affected accounts. Each should give you forms to dispute fraudulent transactions. Ask for written confirmation that they’ve closed the fraudulent accounts and discharged fraudulent debts. Fortunately, you don’t need to contact all three companies. Each is required by law to contact the other two once a fraud alert is made. 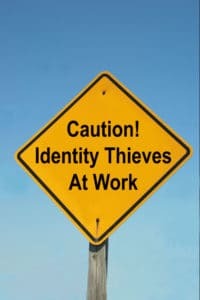 The FTC is responsible for preventing and remedying identity theft. You can file an identity theft complaint with the FTC online or by phone or mail. An FTC representative will create an identity theft affidavit to help you dispute fraudulent accounts and provide you with an FTC ID Theft Complaint Form. After you’ve created an identity theft affidavit with the FTC, file a report with your local police department. Bring a printed copy of your FTC ID Theft Complaint Form and any supporting information from your bank, credit card provider or credit bureau, as these will help expedite the process. Don’t forget to ask your local investigator for a copy of the police report. From your FTC representative, to the local police investigator assigned to your identity theft case, keep a record of the people you talk with, when you spoke to them and notes about the conversation. Make copies of your police report and any written correspondence sent to your bank, credit card company or credit reporting agency. 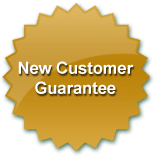 This information should be filed in a secure place for referencing the specifics of your situation and providing proof against any potential future errors on your credit report. Identity theft is one of the most devastating things anyone can experience, but with the right approach you can minimize the damage and reclaim your financial well-being. Pacific Records Management provides records and information management services for businesses throughout Fresno, Stockton, Sacramento, Modesto, and Napa and Solano Counties. For more information, please contact us by phone or complete the form on this page.